Japan's premier music festival, Summer Sonic, has released their first wave line-up. 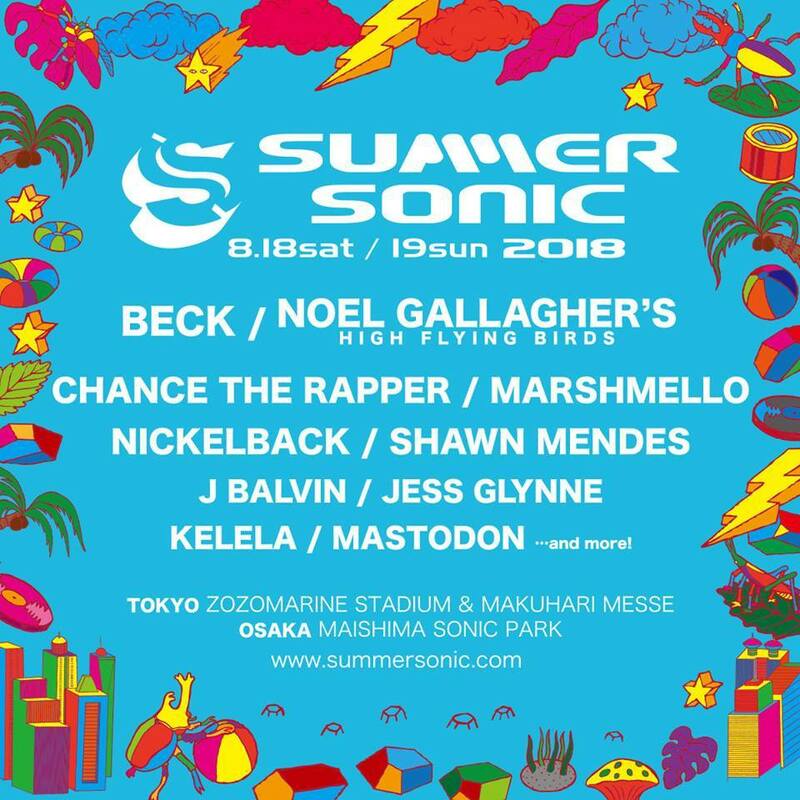 Summer Sonic, which is scheduled for 18 and 19 August, has announced Noel Gallagher's High Flying Birds, Chance The Rapper, Beck, Marshmello, Nickelback, Shawn Mendes, J Balvin, Jess Glynne, Kelela and Mastodon for their first wave line-up. Similarly, Sonicmania, an offshoot of Summer Sonic, will take place on 17 August, with three acts announced so far, being Nine Inch Nails, My Bloody Valentine and Marshmello. Tickets will be made available to the public on 20 Jan and can be purchased here at ¥ 12,000 (US$109). Summer Sonic is slated to take place in Tokyo and Osaka, with both line-ups varying, with the performance schedules being announced at a later date. Early Bird tickets — priced at ¥ 22,500 (US$204) — for Summer Sonic will be available on 20 Jan here. Summer Sonic Japan 2018 will take place on 18 and 19 August 2018 in Tokyo and Osaka.